The continent can’t work out whether to shake hands with the sector, or shake its fist. Warm welcomes from Ghana, South Africa and Ethiopia contrast with the aggressive resource nationalism of Tanzania. A nasty slowdown there would bolster the open-door approach. Twenty-five years after genocide, Rwanda’s economy is motoring sufficiently to need new markets. The potential inclusion of Ethiopia would make East Africa a single market of 250 million people. If it prospers, it would provide a useful counterpoint to global balkanisation. President John Magufuli is shelling out $320 mln to buy all its cashew crop at a hefty premium to help farmers. The government faces a big loss. Failure would at least expose the folly of ham-fisted state intervention, at odds with Africa’s gradual liberalisation. 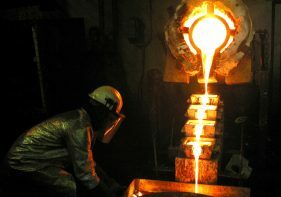 The copper producer has denied it has dollar debt beyond its $8.7 bln of foreign borrowing. Its vague clarification comes two years after a $3 bln bond scandal in neighbouring Mozambique. Bilateral lending, particularly from China, is blurring the credit picture across Africa. The Swiss commodity group’s once-swollen net debt is below cash flow, but it will only decide later this year whether to hike dividends further. That leaves CEO Ivan Glasenberg scope to look for deals. If Glencore can’t find any decent ones, its peers probably won’t either. Rapid African growth is likely to continue. But too much spending and borrowing has led many countries into trade deficits. As lenders become more discriminating, the state of the balance of payments, along with freedom from Ebola, will become keys to continued growth.